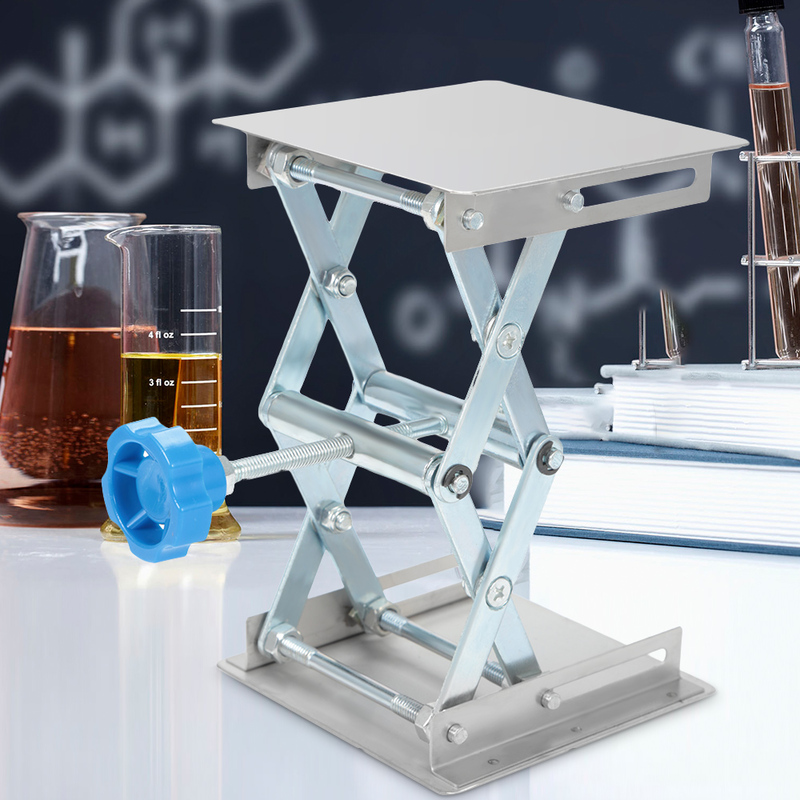 - Stainless steel mini scissor lift table is anti-corrosion and durable. - With the knob design, you can easily lift and lower the platform. - The adjustable height can meet different needs conveniently. - Easy to use, just place it smoothly, and manually adjust it to the needed height. - The flat top surface can be used to place items easily. - The bottom with anti-slip pads can keep the platform stand stable.